Experienced and committed Directors that have built this program from 2005, and have helped over 500 student athletes get recruited to play in college. Professional coaching staff that is dedicated and qualified when it comes to instruction, training, and understanding the game. A minimum of two professional coaches per team. Highly competitive instructional curriculum which enables our players to become the most competitive, skilled players they can be. Guidance in getting recruited to play lacrosse in college with the best fit academically and athletically. Long standing developed relationships with Division I, II, and III college coaches. Express branding which brings instant credibility to college coaches. 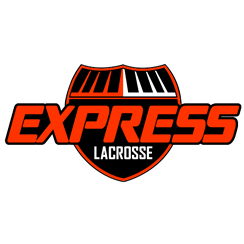 Express Lacrosse is a year round commitment. Tournaments are in the Fall, Spring and Summer. Training/ Practices are year round. Once you are assigned your team, your tournaments and practices are outlined for you. Family discounts will be given to families with more than one player.